The Editorial Board supports the Budapest Open Access Initiative (BOAI), aimed at open and free dissemination of scientific knowledge, which promotes global development of science “without borders”. By “open access” the BOAI means its free availability on the public Internet, permitting any users to read, download, copy, distribute, print, search, or link to the full texts of the respective articles, crawl them for indexing, pass them as data to software, or use them for any other lawful purpose, without financial, legal, or technical barriers other than those inseparable from gaining access to the Internet itself. The only constraint on reproduction and distribution, and the only role for copyright in this domain, should be to give authors control over the integrity of their work and the right to be properly acknowledged and cited. This website provides free use of electronic archive of the Journal. 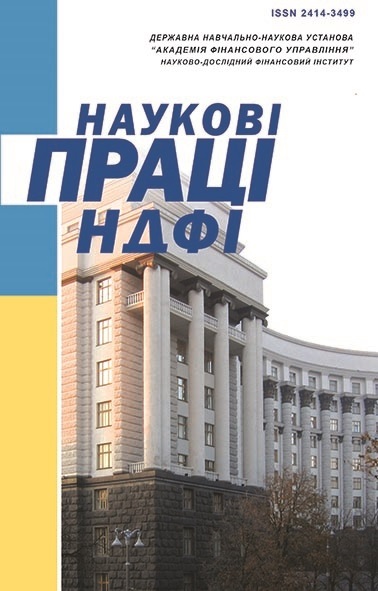 2007-2016 issues of the Journal are freely available in the database “Scientific Periodicals of Ukraine” of the Vernadsky National Library of Ukraine. Delayed open access to the current issues of the Journal is six months following the initial release date. Free access to the full content of the Journal, abstracts of articles and references to the literature is available immediately after the publication of the paper version. The editorial policy of the Journal is based on the principles of objectivity and impartiality in the selection of articles for publication; high requirements for the quality of scientific research; mandatory peer-reviewed papers, introduction of double-blind peer review; pluralism of approaches to coverage of scientific issues; integration of fundamental and applied economic research; collegiality in decision-making on the article publication of articles; continued expansion of the author base of the Journal; availability and timeliness of communication with the authors; adherence to the Journal release schedule; strict compliance with copyright and related rights. 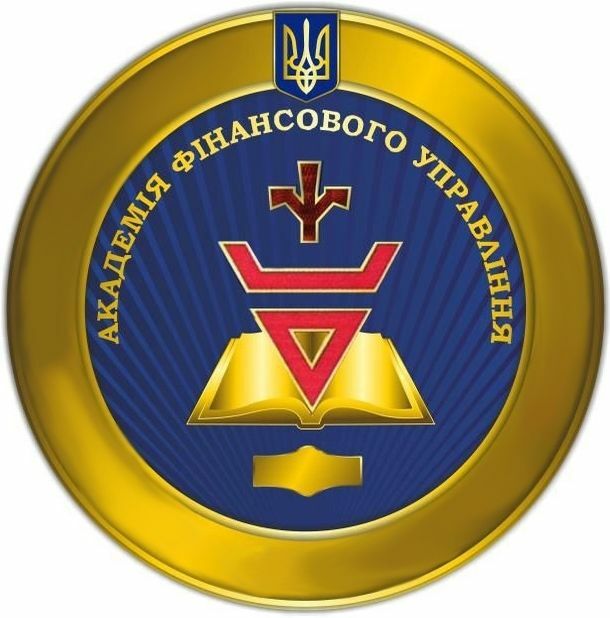 The Editorial Board pays particular attention to the publication of materials reflecting the implementation of the results of scientific research in the practices of the Verkhovna Rada of Ukraine committees –when drafting relevant legislation; the Ministry of Finance of Ukraine – during the performance of the Action Plan for the implementation of the Public Finance Management Strategy; the Ministry of Education and Science of Ukraine – in the implementation of the provisions of the Laws of Ukraine “On Higher Education” and “On Scientific and Technical Activities”. The Editorial Board supports authors in their effort to observe the appropriate level of formal and ethical requirements in preparing articles for publication in the Journal with respect to the standards accepted by the international scientific community, in particular the Publishing Ethics Resource Kit (PERK), Elsevier publishing guidelines, the Committee on Publication Ethics (COPE), the provisions of the Code of Ethics for a Scientist in Ukraine, as well as best practices of the editorial boards of leading foreign and Ukrainian scientific journals. The Editorial Board accepts for peer review manuscripts of authors, regardless of their country of residence, gender, age, place of work, position, scientific degree or academic titles. Manuscripts that by title and content do not fit the Journal’s profile, the formal requirements set out by the Editorial Board and provided to the authors in the Journal or on this site are rejected. All submissions are screened for completeness and adherence to formal requirements and further peer review. The Editorial Board reserves the right to reject or return them for revision. The Editorial Board has an obligation to impartially consider all the submissions that receive initial evaluation, to ensure blind peer review and take fair and impartial decision on revision, rejection or recommendation of the assigned manuscripts for publication. The Editorial Board finds unacceptable practices of plagiarism, falsification of data or obtained outcomes, duplicate submission of the authors’ own work without proper citation, and misleading as for the real contribution of authors in a joint publication. In cases of plagiarism and infringement of copyright and generally accepted standards of scientific ethics, the Editorial Board has the right to withdraw a publication from an issue. Members of the Editorial Board shall not provide the information related to the contents of the manuscript submitted for reviewing to any third party. Following a positive decision of the reviewers, the members of the Editorial Board and Editor-in-Chief, the article is published in the Journal, with its electronic version available on this website, as well as on the website of the Vernadsky National Library of Ukraine. In accordance with the international law on copyright enforcement when using the materials published in the Journal, the original source is to be properly acknowledged. Reviewers, editors, authors should report on their interests that could affect their objectivity in reviewing, editing, revising articles (conflict of interest). All members of the Editorial Board are involved in peer review precess. The review may involve experts who are not members of the Editorial Board. The reviewer shall provide an objective assessment of the relevance, content, elements of scientific novelty, completeness of the presentation and conclusion validity of the author (s) of the manuscript. The reviewer shall respect pluralism of scientific approaches and not deny the possibility of publishing a manuscript only as a result of its inconsistency with their own scientific interests. The manuscript submitted for review is a confidential document. The reviewer shall provide a valid justification for their conclusions on the recommendation for publication, revision or rejection of the article. The reviewer shall draw attention of the Editor or other members of the Editorial Board to any substantial similarity between the peer-reviewed manuscript and another publication. The reviewer shall duly report evaluations on the manuscript according to the established criteria. The reviewer shall not use or disclose unpublished information contained in the manuscript. The reviewer re-reviews the article in case of revised submission. Reviewers shall comply with the Committee on Publication Ethics requirements, be objective and impartial. The authors are fully responsible for the contents of articles, compliance with the requirements of the current legislation on copyright, intellectual property, plagiarism. The author shall cite primarily those publications which have a decisive influence on the contents of the article, avoid formal or “ordered” citation of other works and refer to their own works reasonably. Submission of plagiarism as original research and an already published article to Journal is not tolerated by the Journal. Authors are required to present research outcomes in a clear and unequivocal fashion so that their own conclusions can be identified and fairly assessed by the reviewers. Co-authors of publications should be those individuals who have significantly contributed to the submitted manuscript, share responsibility for its contents and the findings obtained. The author submitting the manuscript for publication is responsible for respecting the rights of co-authors and assumes responsibility for the other copyright-holders’consent to the publication of the article in the Journal. Authors are requested to notify the Editor about any potential conflict of interest when reviewing or publishing the article. The Editorial Board has the right to reject the article for publication unless it fulfills all the established requirements.